Syngenta’s Rougham Innovation Centre, near Bury St Edmunds, is trialling different cover crops preceding spring barley. Three different types of cover are being used; a rye and vetch mix, a radish and oats mix and lastly, no cover at all. In addition to recycling nitrogen, cover crops are a good way to improve soil structure for the barley. 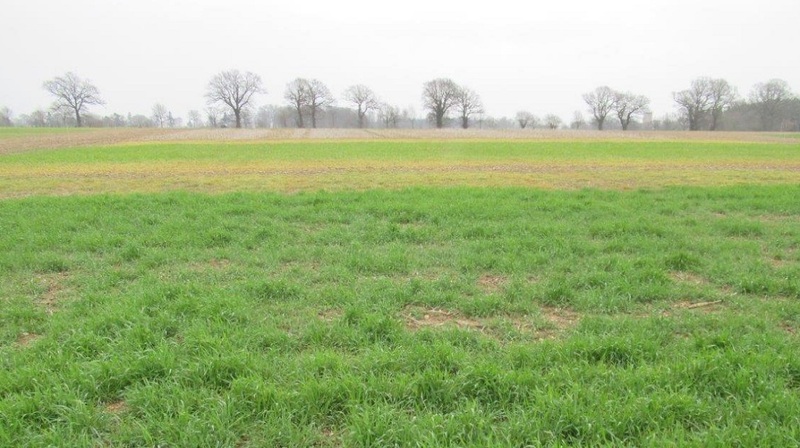 Spring cropping’s short season means good establishment is a priority and cover crops can help achieve this. We are looking at when is best to remove those different cover crops, with some areas already sprayed off and others due to be drilled green. We’re also looking at the implications of direct drilling into the cover crops versus a spring cultivation prior to the drilling of the Laureate spring barley. Cover crops have great advantages for the environment and soil health, so we want to maximise them. However, we also need to maximise the establishment, yield and quality of the following malting barley crop. Hence why we’re looking at how and when to destroy the crop and the establishment method required to give us the ultimate returns. Keep up to date with results from the Innovation Centre trials via twitter, Field News or In Touch podcasts.